There are Ace Hotels the world over (well, the Western world) but this is a review of just one – I’m told they all have their own personality so I hope to visit the rest someday. 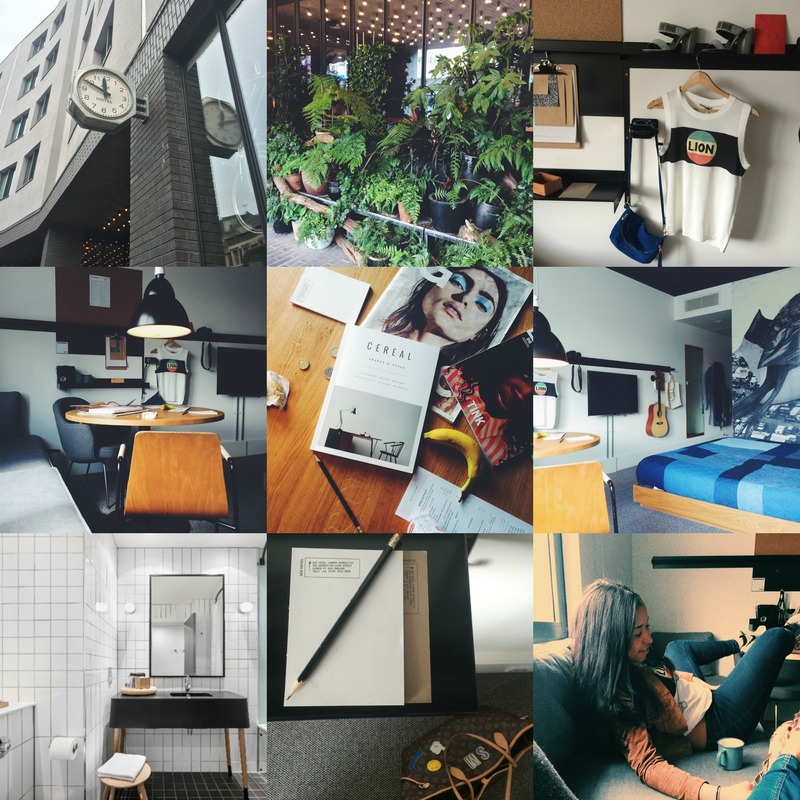 The Ace is a New York-style hotel that attracts creatives and artists (Skepta checked in right after me) with it’s laid-back atmosphere, great music and plenty of space to whip out your Macbook and do some work. The decor is quite masculine and industrial but very, very cool with lots of little touches, like a lot of greenery, a photobooth and fantastic juice bar, Lovage. The bar sells lots of local craft beers, the restaurant Hoi Polloi is fantastically good and you can rent a dreamy Tokyo bike during your stay too. It’s hard not to like Ace Hotel, especially at night when guests and civillians alike swarm to the foyer for drinks while listening to whoever happens to be on the decks that night. I stayed in a deluxe double which has a huge bed with super-fluffy pillows, a wall-to-wall built in sofa, table and two chairs for eating or working at. There was lots of storage space and a DAB radio with curated playlists to listen to, or it has a jack to plug in your iPad which I did (my Spotify is pretty damn good, haha). There wasn’t a lot of artwork or ornamentation apart from an impressive full-wall digital mural and a guitar mounted on the wall. I tried and failed to play it! The bathroom had a bath and shower and really cool mid-century style fittings and the Ace’s own shampoo, conditioner and body wash which are all lovely. All in all it was a great room, I likes the space and the view of East London, I was at the front so you can see Shoreditch station and the overground going by as well as the Gerkhin. There are a million and one things you can do in Shoreditch – the hotel is right on the high street – I’ll list a few suggestions but there really is sooooooooooooo much to do. I had dinner at cult burger joint Dirty Burger but there’s also Pizza East, and if you are, or know a member then Shoreditch House is less than 5 minutes away. Boxpark is full of cool, independent retailers like BeautyMart for unusual and cult beauty products and Dum Dum Donuts for their famous Cronuts and sensational baked donuts, and is well worth a look. For food, a few places to check out are the in-house bakery at Albion, Bombay-style cafe Dishoom and The Breakfast Club (if you can stand the queues). Oh and do visit House of Hackney, Columbia Road Flower Market and The Crown & Shuttle. This list is about 1% of what you could do in the area, you’re really spoilt for choice. A standard room starts at £149 a night, and you can get a suite (which are amazing, with huge rooftop balonies) for about £500 per night. There’s no breakfast included or any freebies in the rooms though, and the mini bar is really pricey, so I just went to the offie across the road. For the area, though, I think the prices are pretty good. You can walk to so may places from the hotel that you’d save on transport costs at least. The Ace is just cool – everyone you see in there is cool, everything surrounding it is cool, everyone staying there is cool – which means you’re cool too. Just by osmosis. With thanks to The Ace Hotel.